The position of South Africa in international affairs remained important throughout apartheid. The South African government needed to rely on the external community for certain products and as a market for South African products. Security was also provided by Western powers, and South Africa did not want complete isolation, although sometimes it seemed the easier option for the Prime Ministers. Over the years South Africa did become increasingly isolated, but this was also not the best thing for the Western powers. The western powers remained aware that, although apartheid was unacceptable, South Africa was still important to them. South Africa’s importance was both strategic and economic. During the Cold War, South Africa was of strategic importance in the fight against communism, and South African propaganda focused on this Western fear. The country was also of strategic importance as a route to the east. Financially, South Africa provided the West with important commodities, such as gold and coal, and provided an important market for Western products. For this reason, the West was not prepared to break all relations with South Africa, and Britain and the USA in particular were very against sanctions against South Africa. The international community did never the less criticise apartheid, and anti-apartheid groups existed in many countries to increase this criticism. In 1948 apartheid was introduced in South Africa in a post-World War II political climate that was very against racial discrimination. The world increasingly moved away from ideas of racial superiority after the horrors of WWII, but South Africa introduced a more institutionalised form of racism. South Africa’s racial polices were placed on the agenda of the first meeting of the United Nations by India, and various countries criticised the policy of apartheid. However, it was not until later that the true nature of apartheid became known, and for this reason there was initially not that much severe criticism of apartheid. Most countries, and especially those in the west, felt there was no need to change their relations with South Africa. The U.N.O. and its actions against South Africa: Committees formed, sanctions, suspension from U.N.O. South Africa was placed on the agenda of the United Nations for the first time in 1946 regarding the treatment of people of Indian origin living in South Africa. In 1952 apartheid was again raised, this time in connection with the wider question of race conflict in the country in reaction to the ANC Defiance Campaign. The South West African question was also on the agenda annually as from 1946. Initially the South African government responded to comments on its policy by saying that apartheid was part of the internal affairs of the country, and for this reason fell beyond the scope of the United Nations. Many Western countries agreed with this claim, but nonetheless continued to hold discussions and appealed to South Africa to change its policies year after year. In 1961 United Nations Secretary-General, Dag Hammarskjold visited South Africa, but reported back that he could not come to an acceptable agreement with the Prime Minister. In the same year H.F. Verwoerd announced South Africa’s withdrawal from the Commonwealth of Nations as a result of criticism from this organisation, and the Foreign Minister was criticized for his speech in the General Assembly. In 1966, the first of many UN seminars on apartheid was held in Brazil, and later in the same year the General Assembly proclaimed 21 March to be International Day for the Elimination of Racial Discrimination in remembrance of the Sharpeville Incident. A 1971 General Assembly resolution condemned the establishment of homelands. In 1974 there was a resolution to expel South Africa from the United Nations as a result of human rights violations, but it was not accepted as France, the UK and the USA did not support it. The one possible form of action against South Africa was the introduction of economic sanctions and the isolation of South Africa. Sanctions were often discussed and supported in the UN, and many recognised them as an effective and peaceful means of pressure. However, the main trading partners of South Africa continually voted against the introduction of mandatory sanctions in the Security Council. In 1962 the General Assembly asked that member states break diplomatic, trade and transport relations in an attempt to convince South Africa to abandon apartheid, and again in 1968 they asked for the suspension of all cultural, educational and sporting exchanges. In 1963 the Security Council called upon states to stop the sale of arms to South Africa, and repeated the call in 1970 (when only France, the UK and the USA abstained from voting) and again in 1972. It was however only in 1977 that the arms embargo became mandatory, and other sanctions were still not in place. The year 1982 was decaled International Year of Mobilisation for Sanctions against South Africa by the General Assembly, with a new programme of action being introduced the following year. In 1985 the Security Council called on members to introduce more far reaching economic measures against South Africa, but a draft resolution of selective sanctions was vetoed by the UK and USA in 1988. In 1963 the Organisation of African Unity (OAU) was formed, introducing a period of increased criticism of apartheid. The OAU immediately called for sanctions against South Africa and Portuguese goods and also agreed that each member state would contribute 1% of their budget to the OAU fund for liberation. They even promised to provide volunteer liberation fighters and set up a Liberation Committee to give aid to the liberation movements. However by the end of the 1960s this support seemed to be unreliable. It was only Tanzania, Zambia and the Congo that gave constant support, and then in 1969 after the signing of the Lusaka Manifesto even this support seemed uncertain. In April 1969 fourteen independent black states from Central and East Africa met in Zambia to discuss African issues. The meeting resulted in the formulation of the Lusaka Manifesto, which was signed by thirteen of the states present, excluding Malawi, on 13 April. The Lusaka Manifesto was later also accepted and adopted by both the OAU and the United Nations (UN). The Lusaka Manifesto, which was mainly drafted by the Tanzanian and Zambian leaders, was a statement outlining the diplomatic position of independent African states. It called for black majority rule for all states in Africa and for human equality and dignity throughout Africa and rejected racism. However at the same time it took a conciliatory approach towards South Africa. 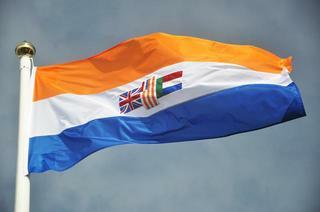 The states decided that South Africa should be accepted as an independent country. Although they still wanted the liberation of South Africa, they wanted to achieve this through peaceful means, dialogue and negotiation rather then through armed struggle. It also offered compromises regarding the time period for change as long as South Africa accepted the principle of human equality and dignity. The countries signing the Manifesto were themselves concerned about South African military action and for this and economic reasons did not really want to involve themselves in an armed struggle. The ANC and PAC were both quite upset by the Lusaka Manifesto, which was drawn up without consulting them. They saw that support for their operations would decrease and were not sure what position they would find themselves in in exile. The manifesto also did not give the freedom movements an important position in the solution for South Africa, and even spoke of trying to convince them to turn away from armed struggle if South Africa agreed to certain conditions. The ANC decided to discuss these problems and their new position at the Morogoro Conference also held in 1969. This was the first National Consultative Conference of the ANC. The ANC and PAC however felt unable to criticise the Manifesto openly as they relied on support from the signatories of the Manifesto. The South African government welcomed the policy of dialogue and détente, which Vortser had already turned to as a way of reducing South Africa’s isolation in his outward looking policy. The government also insisted that separate development focused on human equality and dignity and that this was a form of decolonisation. The government however still rejected the Lusaka Manifesto, largely because the Manifesto did still say that if there was no other choice the African sates would support the struggle for freedom by whatever methods they could find. The rejection of the Lusaka Manifesto by the South African government and the lack of change in South Africa led to another declaration in 1971. The Magadishu Declaration of the OAU stated that, as South Africa would not accept the Manifesto, the African states were justified in rejecting dialogue. It also stated that Southern Africa could only be liberated by force, and that African states should not enter into dialogue with South Africa. This declaration led to the intensification of the struggle for independence in Southern Africa and especially in Angola and Mozambique. From this time on it was up to South Africa to try and keep what contact she could with African states. When BJ Vorster came to power in 1966 people were not quite sure which direction he would move in, but it was expected that he was a ‘verkrampte’ (conservative NP). However, in a speech in February 1967 he showed himself to be with the ‘verligtes’ - that is the liberal school of the National Party. In his speech Vorster spoke of taking South Africa out of isolation and the laager mentality. Vorster wanted to improve South Africa’s image overseas and its foreign relations, even with the other black states in Africa. The reaction inside South Africa to his new policy varied, with the liberal newspapers fully supporting the move by Vorster, and saying that the laager mentality was not actually the mentality of the Afrikaner. One of the first moves by Vorster to alleviate isolation was in the sports field. Verwoerd’s sport policy had said that another country with a multi-racial sports team could not play in South Africa. This meant that a New Zealand team that contained a Maori player was not allowed to play in South Africa. Vorster now decided that South Africa could not tell other countries what their sports teams should look like. This meant that from 1967 onwards countries with mixed sports teams could play in South Africa, and international sporting events could be held in South Africa, although anti-apartheid movements were by this time trying to get people to boycott South Africa with regards to sport. Vorster had the support of the verligtes in this move, but the verkramptes did not want to go against Verwoerd’s policy in any way. This led to some division between vekramptes and verligtes in the NP and in the government. On the issue of black states in Africa, Verwoerd had already realised that it would be necessary to establish cordial relations with as many black states as possible. In Verwoerd’s term the number of independent black states increased considerably, and together with this negative feelings towards South Africa also increased. Verwoerd realised that cooperation and friendship was the only choice in the face of the complete isolation in Africa. Cooperation on the economic level would be the first step. Vorster carried on with this policy and executed it by forming relations with independent African counties. The policy became known as one of ‘dialogue and détente’ or as the ‘outward looking policy’. In 1967 Vorster offered free technical and economic advice to any African country that would like it, saying there were no political strings attached. He focused on economic aspects first knowing that many African countries were very poor and would need economic assistance despite their rejection of South Africa’s racial policy. Vorster decided to try and attract the more conservative African states first. It was mainly Malawi, the ex- Portuguese territories and the ex- British protectorates in southern Africa that formed relations with South Africa although there were also some connections in West Africa. For Vorster the first step was to arrange meetings with some African leaders. Here again he was going against the policy followed by Verwowerd who had even rejected a request by Abubakar Tafawa Balewa of Nigeria to visit South Africa in 1962 and an offer by Kuanda of Zambia in 1964 to establish diplomatic relations because the offer had been made from a political platform. Vorster set up a meeting with Chief Leabua Jonathan of Lesotho in 1966, with Sir Sereste Khama of Botswana in 1968 and with Prince Makhosini Dlamini of Swaziland in 1971. These contacts were however still characterised by mistrust and the distance between them was seen in Vorster’s rejection of the Lusaka Manifesto of April 1969 and with the way he tried to score points against Kuanda. Botswana, Lesotho and Swaziland remained openly critical of apartheid, but had to rely on South Africa for economic reasons as a result of their geographical position. Many workers from these countries worked in South Africa on the mines, and there was a customs union between the countries. Postal, telegraphic and monetary ties were also firmly established. Relations with Lesotho involved loans to Lesotho, assistance with stimulating the wool industry in Lesotho and the Oxbow irrigation scheme. Botswana was given assistance with increasing agricultural production. The first country not bordering on South Africa to accept Voster’s offer was Malawi and its President Hastings Banda. Malawi recognised the economic advantage it would get from the deal, especially as a loan of R6 million had been extended to the country in 1966. During 1967 visits to South Africa began with three Malawian Ministers visiting South Africa and a trade mission visiting Cape Town and meeting with Vorster. A trade agreement was entered into later in 1967 and South Africa gave the country another loan of R8 million to move its capital city and R11 million to build a railway. South Africa also employed Malawians on the mines, and by 1967 the number stood at 30 000, a number that was set to increase. The first official visit by a South African minister to Malawi took place in 1968 when the Minister of Foreign Affairs, H. Muller, paid them a visit. The year also saw the setting up of diplomatic relations as consulates were established in the capitals of both countries. This was a very important link for South Africa and gave the illusion of shrinking isolation. South Africa had historical relations with Mozambique and continued to focus on these relations as part of the outward looking policy. In the 1960s South Africa continued to employ many Mozambiqueans on the mines and tried to keep close relations. This was quite easy in both Mozambique and Angola considering the fact that these counties only achieved independence in the mid-1970s. Close ties with Mozambique were built up in the Cabora Bassa dam project on the Zambezi River. This provided hydro- electric power and irrigation water. A loan was provided to Angola for the development of the Kunene scheme on the Ruacana Falls. After independence relations between South Africa and Mozambique actually continued. In 1984 South Africa and Mozambique signed the Nkomati Accord, an Accord of good neighbourliness between the two countries. The Accord said that neither county would support the opposition movements of the other country. This meant that South Africa was to stop material aid to RENAMO and that the ANC could no longer use Mozambique as an entry point back into South Africa. Most of the ANC forces needed to leave Mozambique as a result of the Accord, which was a victory for South Africa. South Africa never fully obeyed the accord, and continued to supply RENAMO. Mozambique on the other hand was forced to sign and listen to the treaty as a result of economic interests, and the Accord was later reaffirmed and a joint security commission was set up to monitor the situation. In 1986 Mozambique’s President, Samora Machel, was killed in a strange aeroplane crash just over the South African border in which the South African government was involved. Vorster also wanted to form relations with other African states so that South Africa could have allies on the continent. In 1969 the government started a fund with the purpose of promoting economic relations with other African countries. This led to the policy of dialogue and détente of the 1970s. Vorster declared himself willing to talk to any African leader. The OAU rejected such dialogue, saying that the South African government should enter into dialogue with the South African blacks before other countries would form relations. The OAU also called on South Africa to move away from apartheid, and in 1971 it decided that as a result of South Africa’s rejection of the Lusaka Manifesto they were justified in abandoning dialogue with the county. During 1971 and 1972 talks were held with representatives from 12 African states and 43 groups of representatives from Africa visited South Africa. In 1974 and 1975 Vorster went on African tours to talk to leaders, and among others visited and held talks with the leaders of Liberia, President Houphouet-Boigny of the Ivory Coast who also encouraged others to talk to South Africa and Senegal. These more conservative countries were aware of the economic advantage of forming relations with South Africa and many feared the military power of South Africa should action be taken against them. They also listened when the West called for compromise. South Africa was also over the years able to enter into relations with Madagascar, Mauritius, Gabon, Ivory Coast, Zaire (Democratic Republic of Congo), Liberia, Ghana and the Central African Republic. South Africa was however not very successful at breaking the isolation. Those countries that did forge relations with South Africa did so out of economic and military concern and despite the antagonism that they had for apartheid. The government tried to implement the policy as quickly as possible so as improve the image of South Africa, but by this time international resistance was growing, as was resistance inside the country in the form of the Black Consciousness Movement. From the 1980s onwards isolation only increased as more and more Western countries turned towards sanctions and breaking relations. The small successes that the government did achieve were seen as huge breakthroughs, but this only highlights the real position of South Africa and the extent of the growing isolation. During the apartheid period one of the main ways that the international community showed their rejection of apartheid was through boycotting South Africa in various spheres. Boycotts included economic or consumer boycotts, academic, cultural and sport boycotts. These boycotts were very effective in isolating South Africa and making the public aware of the international opinion. The boycotts also showed the black community that they had international support and, although some boycotts did affect the black community negatively, the ANC still called for such boycotts as the positive effects outweighed the negative effects. In most cases there were still who argued against boycotts and attempted to keep relations with South Africa. The Anti – Apartheid Movements (AAMs) tried to change the public’s view and to encourage the governments to introduce boycotts and sanctions. "This Committee condemns the Government of the Union of South Africa for its action against Ronald Segal, editor of Africa South, as further evidence of that Government's contempt for the freedom of the Press; calls on all in the United Kingdom who reprobate the evil policy of apartheid to join in boycotting Nationalist South African goods; and especially urges the people of other territories of the Commonwealth to demonstrate solidarity by similar action." Boycotts regarding sport and culture affected the average white South African. In a sport-crazy South Africa, the sport boycott brought home to the average South African the negative effects of international isolation as a result of apartheid. These boycotts also did not have as much effect on the black population, especially as relations with black teams were sometimes maintained and even strengthened. By bringing the debate on apartheid into sport and cultural circles it also meant that more people were made aware of apartheid and with the problems surrounding the situation. International action against sport relations started in the mid-1950s and began to have real effect in the 1960s. The situation regarding segregated sport and segregated watching of sport was brought up by those directly affected by the South African policy. Black sportsmen began to ask for a break in relations with white South Africa, which also refused to play any non-white team, in favour of relations with non-racial teams. An important step towards changing relations was taken in 1956 by the International Table Tennis Federation, which decided to stop links with the all-white South African Table Tennis Union in favour of links with the non- racial South African Table Tennis Board. The South African government responded by taking away the passports of these players so that they still could not play in the international games. After this first step other sports slowly began to follow, although there was often a problem as the top people in the federations did not want change and did not want confrontation. This led to the changes being slow in most sports. In 1959 the South Africa Sports Association (SASA) was formed as a non-racial organisation to secure the rights for these players in the international field. SASA first tried to get recognition by working together with the white organisations, but by 1962 realised this was not going to be effective and it approached the International Olympic Committee (IOC). It asked that South Africa be expelled from the Olympics for their racial policy, and South Africa received a warning that if there were no changes it would be suspended in 1963. This led to the creation of the South African Non-Racial Olympic Committee (SAN-ROC) in January 1963 as changes were introduced. Problems however persisted and AAMs continued to campaign for the exclusion of apartheid South Africa, resulting in South Africa’s exclusion from the Tokyo Games in 1964. In 1967 an International Olympic Committee visited South Africa, and the visit concluded with a favourable report on changes in South African sport. The IOC saw that South Africa had a multi-racial team that had been selected on merit for the next Olympic Games, and decided to invite South Africa to participate in the 1968 Mexico Olympics. This however resulted in much criticism from AAMs and black states who threatened that they would stay away from the games if South Africa participated. This meant that in April 1968 the Olympic Committee withdrew their invitation to South Africa. Other campaigns by AAMs were also taking place in the 1960s. Demonstrations began in 1960 in New Zealand after Verwoerd refused to allow a Moari player to tour together with the rest of the All Blacks team to South Africa. The tour was cancelled in the end. A change of policy however came about when Vorster replaced Verwoerd and stated that South Africa would no longer dictate to other countries what their teams should look like. This opened the door to international sporting events, but led to a lot of problems within the National Party as many did not support the change. Amid these problems Vorster refused to allow the coloured cricketer, Basil D’Oliveria, an ex-South African, to join the English cricket team on tour in 1968. D’ Oliveria had initially been excluded from the team, but after demonstrations by the AAM and another player being found unfit, he was included. Vorster said that that the team had not been chosen on merit but because of the critics of apartheid, and that he was not prepared to accept such a cricket team. In 1969 - 1970 a South African rugby team visited Britain, but the tour was disrupted by AAM demonstrations. The AAM had some success at convincing groups to break ties with South Africa, and another 1970 tour was cancelled. As sport isolation continued it became clear that South Africa would need to make more changes to her sport policy if she wanted to be accepted internationally. As this began to affect the players more and more stood up against apartheid in sport. In 1971 Vosrter differentiated between multiracial and multinational sport. Multiracial sport was still forbidden, but multinational, where people of different races compete against each other but in separate teams, would now be allowed at international level. In 1977 the Commonwealth Countries, calling for an end to sporting ties with South Africa as long as apartheid continued, accepted the Gleneagles Agreement. In December 1977 and again in December 1985 the UN accepted resolutions Against Apartheid in Sport, and called for an end to segregated sport. This stopped links between the countries that signed the resolution and apartheid South Africa both on a national and individual basis. Money would not be given to a team that tried to maintain links with South Africa and action would be taken against such teams. Visas and entry documents would be denied to segregated sports teams trying to visit these countries. A Commission Against Apartheid Sports was also formed, and although some contact did continue, the UN continually looked at the policy and tried to stop the interaction. Boycotts in the cultural field became important in the 1960s and AAMs started to campaign for the boycott. The boycott included music, plays and other forms of art. People were called on not to perform in South Africa or to allow their plays to be performed in South Africa unless it was before a non-segregated audience. In 1963 forty-five British playwrights signed a declaration in favour of the boycott and in 1964 Marlon Brando called for a similar declaration by actors and directors regarding all films. In 1965 the British Screenwriters Guild called for a ban on the distribution of films in South Africa and then more than sixty American cultural personalities signed a declaration against apartheid and professional association with South Africa. Various other declarations over the next years stopped the selling of films to South Africa and the selling of films containing certain British actors to South Africa. The performing of certain South African plays in America and Britain was also stopped. These boycotts did not have the same negative effect on the South African economy as the consumer boycotts did, but did bring home to the average South African the international view of apartheid. These boycotts were disrupting everyday life, and were seen as embarrassing. Although the boycotts alone could not bring an end to apartheid, they were effective in isolating South Africa and in encouraging small changes to policy. The international community played an important role in bringing about the end of apartheid, although their role never became more important than that of the people themselves. The international community support was very important for the ANC and for the people inside South Africa, as it showed them that they did at least have some support. Financial assistance was also important. The international community was also important in that it was able to cut white South Africa out in some cases, and this affected the white population and not just the government. This was especially the case with the sport boycott. It is also clear that it was not just the western international community that played an important role, but also other African, and even Asian, states gave the freedom struggle much support. • Muller, CFJ. (1993). 500 years. A history of South Africa. Pretoria: Academica. • Freund, B. (1998) The making of contemporary Africa. The development of African society since 1800. London: Macmillian Press. • McMahon, PJ & obinson, DL. (1990) South African History. Standard 10. Revision Aid. Pretoria: De Jager-Haum. • Karis, G & Gerhart, GM (1997). From protest to challenge. Volume 5: Nadir and resurgence, 1964-1979. Pretoria: UNISA Press. • Mermelstein, D. The anti-apartheid reader. The Struggle against white racist rule in South Africa, New York, 1987; E. Boles, The West and South Africa, London, 1988. • Shubin, V. ANC A view from Moscow. Bellville. 1999; Press conference in Moscow, November 6, 1986, as published in Independent, London, November 7, 1986 and reproduced in ANC News Briefing, London, November 16, 1986. • G.L. Klein, ‘De strijd tegen apartheid. The role of the anti-apartheid organisations in the Netherlands, 1960-1995.’ MA dissertation, University of Pretoria, 2001. • ‘Resolution adopted by the Summit Conference of Independent African States, Addis Ababa, 22-25 May 1963, on apartheid and racial discrimination. • 'Statement of the deputy President of the ANC, Nelson Mandela, at the 26th Assembly of OAU heads of states and government, Addis Ababa, July 9-11 1990. 2003-06-13.